Quotes like that sum up how many of our customers feel about their experience with ElliptiGO bikes, and, in fact, it essentially tells the story of why ElliptiGO came to be. Since creating the world’s first elliptical bicycle in 2006, our team’s mission has been to deliver a fun, comfortable and effective workout experience that inspires people, improves their lives and revolutionizes their fitness. 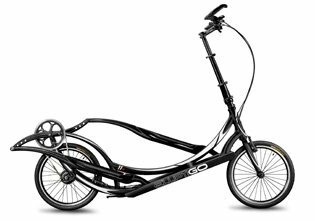 By combining the best of running, cycling and the elliptical trainer, ElliptiGO bikes provide a strong cardiovascular workout that eliminates impact on joints and allows people to get out of the gym and enjoy the outdoors. Elliptical cycling is an effective way to build fitness without aggravating injuries. That’s why more than 20,000 customers around the world –from the health-conscious to the elite athlete – enjoy riding their ElliptiGO bikes. We genuinely care – about each other, our customers, the work we do, and living a healthy life. We are inspired by the impact we have on our customers’ lives. We work to inspire our customers to become a better version of themselves. Innovation is our lifeblood. Creating compelling solutions to our customers’ problems is the fundamental reason why our company exists. We believe in doing the right thing. We believe in creating products of the highest quality and that are built to last. We stand behind our products and our people. We work hard, and we play hard. We enjoy life and are committed to creating a work environment that is open, honest, collaborative, fun and family-oriented. Since creating the world’s first elliptical bicycle in 2006, our team’s mission has been to deliver a fun, comfortable and effective workout experience that inspires people, improves their lives and revolutionizes their fitness. By combining the best of running, cycling and the elliptical trainer, ElliptiGO bikes provide a strong cardiovascular workout that eliminates impact on joints and allows people to get out of the gym and enjoy the outdoors. Elliptical cycling is an effective way to build fitness without aggravating injuries. That’s why more than 15,000 customers around the world –from the health-conscious to the elite athlete – enjoy riding their ElliptiGO bikes.